When Peace Haven Family Dentistry’s talented trio—Dr. Houston Symmes, Dr. Robert Wilkinson and Dr. Phil Golden—get together to talk family, they may share stories about their own loved ones at home. Eventually, however, they’ll get around to mentioning news of children or even grandchildren of some of their favorite, long-time patients. That’s just what family does. As the newest member of the team, Dr. Golden merged his practice with Peace Haven earlier this year, and the transition has been a fun one for staff and patients alike! Dr. Golden felt the “family” emphasis right away as the practice added on to accommodate his team, building a new, and even stronger, group practice in the process. Rooted in the same core values that Dr. Wilkinson’s father, Dr. Bob Wilkinson, believed in when he started the business in 1961 (Robert joined his dad in 1988), this is not a practice with a “one size fits all” philosophy. 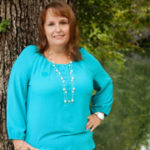 “At Peace Haven we can appeal to many different patients with three different dentists at different stages of their careers,” explains Dr. Symmes, noting that the three range from early career (but still with six-plus years of experience) and mid-career, to Dr. Golden with over 40 years of experience—and planning on many more! With three dentists on board, it’s easy to see their individual skills complementing each other, allowing for better treatment plans and collaboration to achieve the very best solutions for their patients. While all three enjoy general dentistry, Dr. Symmes treats many patients with root-canal therapy, dental extractions (including wisdom teeth) and Invisalign, as well as with dental implants, while Dr. Wilkinson has enjoyed fabricating CEREC same-day crowns for many years, a popular addition for busy patients. Dr. Golden enjoys all aspects of general dentistry and takes pride in each restoration he places. He has done many full-mouth reconstructions over the years. Their exceptional staff assures each process is a smooth one, and between doctors, dental hygienists, and office assistants, they boast hundreds of years of combined dental experience. The Peace Haven Family Dentistry team also encourages parents to introduce children to a healthy dental lifestyle at an early age—around two or three years old—by coming to appointments with them to watch their parents having their teeth cleaned. Peace Haven also strives to stay up-to-date with the latest techniques to help families show off their best—and healthiest—smiles. They now offer 3D-imaging with their CBCT, or Cone Beam Computed Tomography, machine. This produces an image that is helpful in locating difficult canals for root-canal therapy, and for planning the ideal placement of dental implants, as well as showing pathology. 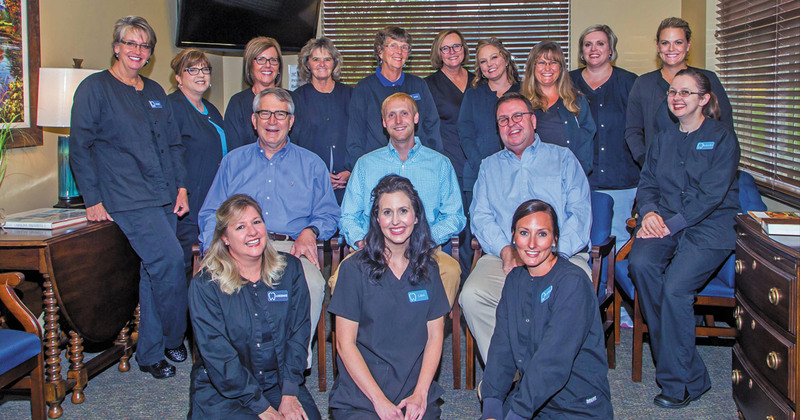 No matter what your age, stage, or treatment needs, you’ll sense that unmistakable family feel here, and the Peace Haven staff knows their dental family is what makes their work days so special. “We know birthdays, marriages, and adoptions, and have gone through sicknesses, cancers, and special celebrations while taking care of all of our patients’ dental needs,” says Dr. Wilkinson. For the best total family dental experience, call Peace Haven Family Dentistry at 336-765-9247 for appointments and consultations. Their office is conveniently located at 1086 Whitaker Road in Winston-Salem, with hours Monday through Thursday, 8 am–5 pm, and Friday, 7 am–noon. Learn more about their practice at peacehaven.dentist and follow them on Facebook.